‘Tis The Season! Which Holiday Outfit Are You? Seasons don’t last forever. Take this quiz and find out what your signature style should be for the holidays! Whether it’s glamming it up with friends, avoiding the cold or traveling—we’ve got you covered. Find out which holiday outfit matches your winter mood! Now, get a closer peak at your holiday look! Sounds like your schedule is packed with parties! 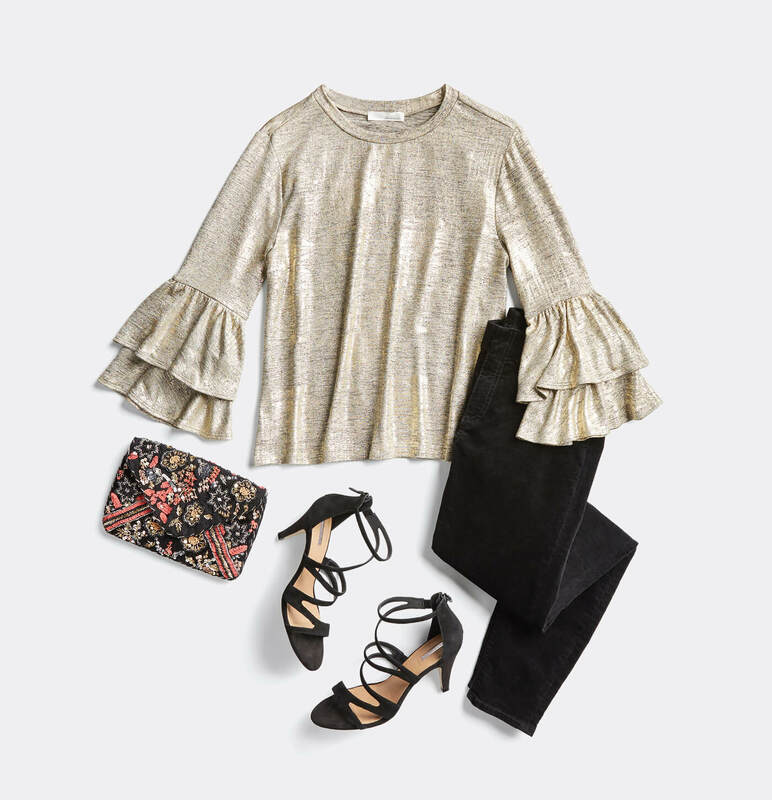 Stay sleek and chic with a fitted pair of black skinnies and then go glam with a statement shirt. Glitter is highly recommended. You’re ready to wind down. We get it, the holidays can be exhausting. Kick back and enjoy time off and layer up with ultra comfortable athleisure like leggings, a simple knit sweater and a puffer jacket. You’re polished and prim—which is anything but boring. This holiday, keep your professional look on-point with an elevated blazer. We love adding winter textures like velvet and silk. Your holiday style is crisp and clean just like freshly fallen snow! For a more casual holiday affair, wear a classic button-down tucked into high waisted jeans. Then, add some festive footwear for extra flair. You’re into flirty and femme looks. This holiday season, don a fit and flare dress in a neutral tone (or metallics) and keep your accessories to a minimum. If you can’t help but sparkle, add a simple, shiny bangle or solitaire earrings.